Droid Life is a site that was built on a passion for Android, especially its incarnation in the OG DROID. Back when I was still sporting the OG I remember coming across The Mobile Panda. 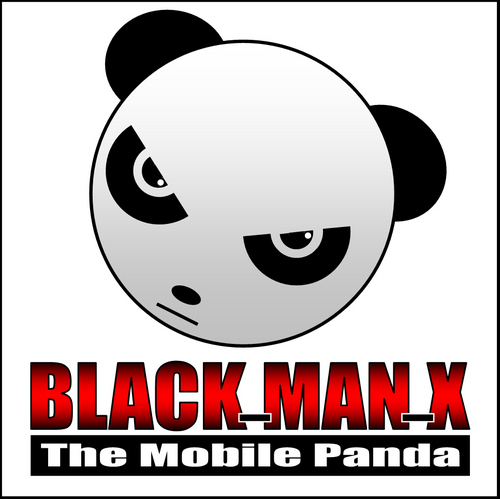 Between blog posts and trolling podcasts, @black_man_x, as he’s known on Twitter, used to drop hints about future products and help out regular users. I’ve always appreciated his perspective on mobile, so I thought our lovely community of readers would enjoy the chance to read more about the Panda’s perspective on a variety of topics. Most readers know you for giving out advice and tips about Verizon devices and the occasional Panda poem. Why did you decide to engage with customers? In my past life alot of the information that I was seeing (in terms of the products and services that the nation’s largest carrier was providing) was in my opinion lacking. Loving the tech that was out there, I wanted to debate, talk, and rant with other lovers of mobile. The Panda was actually an idea from a friend of mine that understood that even Clark Kent needed to protect his paycheck. Being the Panda isn’t just one person I like to think of it as a mantle. Batman has his cowl and cape, pandas have our bamboo, Twitter, blogs, and forums to combat mobile injustice. Is Verizon still your carrier of choice? I have lines on most major carriers, except Sprint. My personal line is still on Verizon, but with Google Voice my number goes where I do and I suspend what I am not using at the time. As you can imagine, reconciling my phone bill is quite the exercise in math and paper management. What phone is your current daily driver? Currently I am using a GSM Galaxy Nexus on AT&T, but I have been showing the HTC ONE X a lot of love as well. The S3 is also on deck. I am currently debating if I want to pull the trigger on a Nokia Lumia 900; I am, after all, a lover of all mobile. How do you feel about manufacturer skins and customizations? Which do you like the most, and why? In the past it was needed, badly. If anyone remembers Windows Mobile you know that is how HTC got started. Sense (originally TouchFlo) was a godsend to those that wanted an easy to use experience from a device/OS that wasn’t user friendly. Android was the same way: pick up a G1 and use it for ten minutes and you will beg for Touchwiz or Sense. The Android team has improved the UI and with ICS they’re pushing the focus from function to form. In terms of skins, I think that HTC has the right idea. Why work so hard to skin and put your hooks into everything if the stock experience is already stellar? HTC has scaled back and pushed their focus to things like the camera and audio. With the new version of Touchwiz, Samsung is adding amazing services like S-Voice that take Android and build upon it. Moto… well they stumbled out the block a bit, but I think feedback on the ICS Blur experience will be positive. How do you think Google feels about manufacturer skins/customizations? Obviously without the manufacturers Android would not be the success it is today, but that doesn’t mean Google likes skins or the delays in updates. As I said before, the Android experience is about the customer. When it comes to vendor customizations, based on sales they seem to love it. Sammy is the biggest phone company in the world with the S3 preorders reaching 10 million and HTC Sense devices like the ONE series are flying off the shelf. The Nexus or stock device types are there for the power users, but for Android to continue its growth and become the power that it is we need to capture the mind share and heart of the average consumer walking into their Verizon, AT&T or O2 store. HTC’s skin took a weather widget and made it an icon for their experience. A lot of people see that clock today either on a HTC device or a widget like Beautiful Widgets and say “hey is that an EVO?” That is the power of customized experience. As for delays in devices getting updated, consumers need to understand these are not simply “skins” like you would see with Launcher Pro, Nova, or other experiences in the Play Store. These are in every way custom devices running complex software on an Android base. To make a small change requires lots of work to ensure you don’t break something. A lot of people wonder how ROM makers can get an ICS Sense ROM working before HTC, but they have never had to deal with Verizon’s certification process. Google has been accused of straying from its mantra of Don’t Do Evil. How do Googlers interpret that mantra? What does it mean for a company like Google to not do evil? That motto was built on the premise of a startup mind frame. As a now publicly traded company with commitments to shareholders and our partners, I am sure people understand that there are business choices made that may not be popular. I don’t make those choices, but I understand. Apple has some of the highest public ratings and their products make people happy. Heck, I watch their commercials and I want to call my mom and hug a tree, but ask a Foxconn worker two years ago what they thought of Apple (or better yet ask their spouse!). It’s all about prospective in the end. In the past I’ve suggested that Google should offer services and products for money instead of advertisements. What are your thoughts on offering products for money vs ads? Google’s business model is built on ad services. While some users are concerned about how their data is used, I think the privacy standards recently clarified outline the company’s stance in an easy to understand format. While the idea of paying for services is intriguing, I do not believe it would work. As history has shown, asking someone to pay for something that was free yesterday to protect a concept like user data that they do not understand fully only leads to confusion. Once you take the profit model out of Android development, what is a company like Google’s reason to continue to put resources and money into improving it? Eyeballs drive profits. Google’s relationship with carriers has changed over time. What role do you think carriers should take in the mobile industry? I would like carriers to be a data pipe that fully embrace the ideals of net neutrality. Just give us the data and let us do what we like with it. I think that alot of people that say that really don’t understand what that would entail, though. As we approach using more and more valuable spectrum, we face ever rising data prices, caps and throttling. Paying 30 bucks a month and using 24 GB of high speed data may sound fun now, but wait till your data bill reflects the true cost. It won’t be pretty. With coverage becoming secondary to exclusive devices and services, it’s no longer about “Can you hear me now,” but “Can I pay that bill now.” I would be interested to see what T-Mobile and Sprint do with their upcoming LTE networks. It seems like every year the phone screens get bigger and bigger. Was the Dell Streak just before it’s time? Why do you think manufacturers are making bigger phones? I once thought a 4.3 inch screen was way too big, yet I am currently using 4.65, 4.7 and 5.3 inch devices along with a 10.1 inch tablet! The Streak was truly before its time, but if anyone wants one I may throw mine on Swappa! I think that the push for bigger screens is due to people wanting to maximize the experiences that LTE and other 4G technologies enable like Netflix, Hulu and other video services. With the Note and the S Pen, Samsung truly changed what a large screen smartphone experience could be like. The phablet is a great alternative for those that want a cutting edge phone and don’t want to double dip on an iPad or Android tablet. The success of the Note shows that customers want it and we see others are following suit. John Gruber theorized that phone screens are bigger to accommodate the larger LTE chips and batteries. Is there any truth to that? In the past that was a bit of the reason. Early CDMA/LTE internals were a bit bulky, to say the least. The main reason was to highlight the things that LTE lets a customer do such as real video, real web browsing and Skype. All of those activities look better on a big honkin’ screen. Hell, the EVO 4G came with a kickstand just in case anyone needed a hint! But with SOCs like the S4 and the upcoming Tegra3 with LTE, it’s clear that you can have 4G data, great battery life and a thin and light device. It’s just the nature of hardware improving. While there are some LTE phones like the RAZR MAXX and HTC One X that have good battery life, most phones still struggle. Is this a hardware or a software issue? The RAZR has a 3300 mAh battery. If you put that in any device it’s going to have great battery life. The S4 GSM /LTE SOC is an amazing chipset and very battery-friendly. As we see new devices using newer hardware along with operating systems that manage power consumption more effectively it will only get better. Apple released Siri as a beta last year and now Samsung has tried to create a competitor called S-Voice. In your opinion is this kind of voice automated personal assistant a real competitive feature or just a gimmic like 3D? Services like Siri and S-voice allow users to interact with the one device they use most in a more personal way. Anything that can get you to love your mobile device makes me a happy Panda. 3D just made my head hurt. I prefer my 3D in theaters or my TV, not on a device I look at hundreds of times a day. Google has struggled to get market share in the tablet space. Why do you think that is? In any new space there will be growing pains. With the success of the iPad it’s clear that consumers will buy a tablet if they are presented with an easy-to-use, familiar experience. Remember, there had been Windows tablets for years before the iPad existed. Apple did it right by encouraging creativity and that same comfortable user experience that made the iPhone an icon in the phone space. Honeycomb wasn’t that same experience; it was what I like to called the “old” Android. Fun and easy to use for the geeks, but not easy to pick up and play for regular people. Presented with an iPad next to a Xoom, 7 out of 10 average customers will be up and running with iPad in ten minutes. That same group would be trying to find the browser on the Xoom and looking for a menu option to show the menu. Hence, returns were high and customer frustration was higher. As ICS and the next versions of Android come to tablets, that ease-of-use factor will change. There is still a dearth of tablet app options in the Play Store. What can Google do to change that? Developer relations and conferences like the upcoming IO will highlight some of the powerful tools coming to Android as well as the gaining market share of the platform. As market share in the tablet market grows with devices on multiple hardware and price levels, I think that developers will see that being the one of the “must have” Android tablet apps instead of one of the sea of millions iPad apps is attractive and profitable. Do you see Google Glass as more of a hobby or part of the future of technology? Glasses or the technology and ideas that come from that will hopefully play a large part in the technology of the future. If it doesn’t then heck, maybe we can all get pairs for paintball, real life Call of Duty style. Why do you think Google is getting involved in seemingly random technologies like a self-driving car and glasses? They are not random. Projects like Glass and the car thing provide benefits that are at first apparent, but think about how a self-driving car will help auto makers design cars with better crash prevention, help my grandma get to the market, or just look cool. Or think about how a pair of glasses will help provide a world of data at the blink of an eye to a doctor in an ER? Thinking outside the box is what makes life fun. Twenty years ago some of the technology we take for granted was thought impossible. I envision the line of what is considered mobile technology to be blurred beyond belief. Most people I know don’t have home phones because they only use a cell phone. As services such as mobile payments, NFC and WiFi-direct become common, companies like Apple, HTC, Samsung, Microsoft and even RIM will be able to give to users that Minority Report future all of us geeks dream of. I just hope I can see the second golden age of mobile. Of course I’m sure I will still be looking for a charger. The interview now done a panda grows glum for all the answers are given, but IO awaits and Android’s next(us) fate will be revealed. But a Panda has faith because Matias is great and bells and whistles will amaze. Be it a tablet or Phablet you will see real magic of sweet dessert delights. Against fruit that grows stale or Metro products that pale, just know the green guy will prevail.